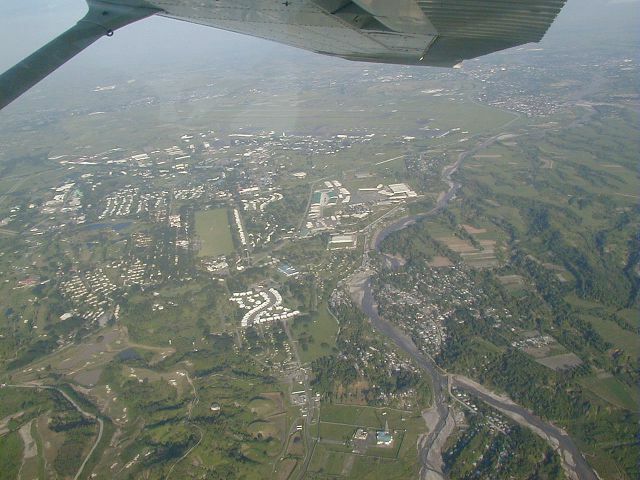 Taken from about 6000 ft high, we see a vast view of Clark Air Base (except for the Hill Housing area, which is past the left side of the photo). 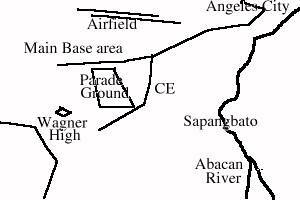 This shows the old SATCOM facility at the bottom center of the photo and much of Sapangbato barrio along the Abacan River at the right. Want to correct or clarify information about this photo? Send an E-mail to clarkairbase@clarkab.org. Mention you are referring to page "a12.htm".